I was in Barnes & Noble last Monday checking out the cheap DVD section and found something called “200 Classic Cartoons” for $4.99 with 4 discs worth of old cartoons. 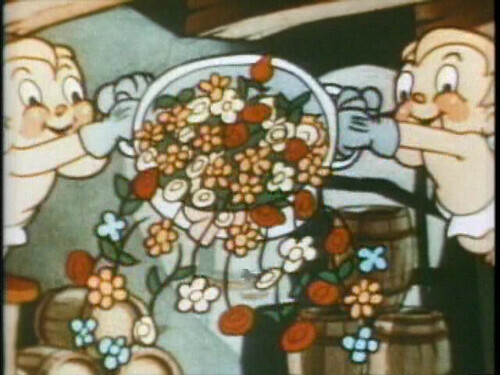 (The distributor is Mill Creek.) There were enough titles on it that I didn’t have that I either wanted to own or was curious enough about to make it worth $4.99 despite what would surely be a preponderance of poor quality prints and transfers. Ever since I saw THE AVENGERS two summers ago I’ve been hoping that Marvel would feature Scarlett Johansson as her Black Widow character in a standalone film that was more of a thriller than a superhero movie. 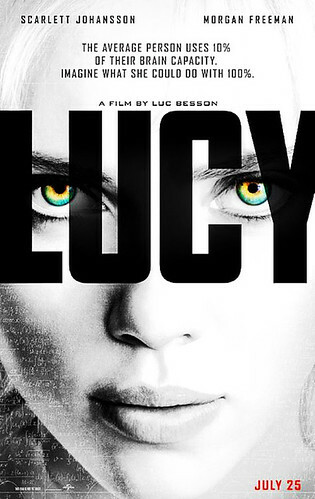 When I saw the trailer for LUCY in May I was pleased to see that she’d finally gotten her own action movie. I was also intrigued by the similarity of the plot elements to different anime I’ve seen, most notably “Baoh,” about a government experiment that turns a hapless subject into a super-soldier who then escapes and goes rogue. Internet forums have suggested LUCY’s similarity to an anime series called “Elfen Lied,” which I’ve never seen but am now determined to see. The protagonist of “Elfen Lied” is also named Lucy. All of this compelled me to go see LUCY last night.